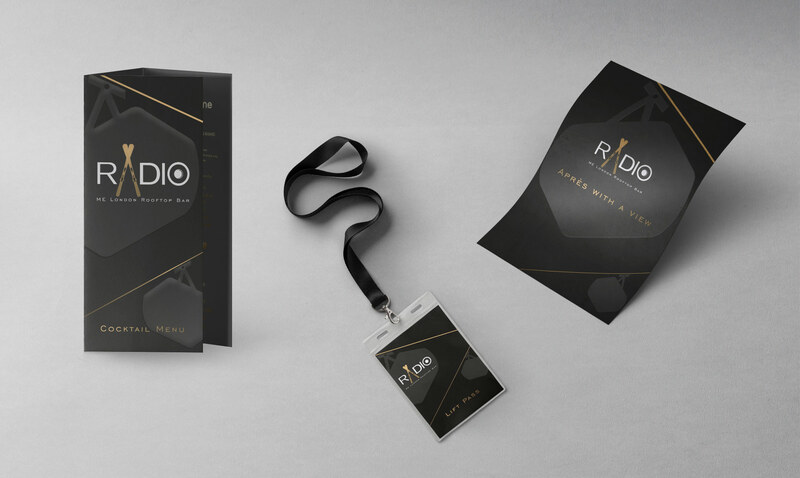 How to create powerful retail branding? The retail industry has seen a significant phase of disruption in recent years. Social media platforms acting as a digital shopping mall along with the emergence of e-commerce has added a new level of complexity to this industry. While the conversation around the demise of brick-and-mortar has emerged, there is an undeniable exhilaration of store openings worldwide. 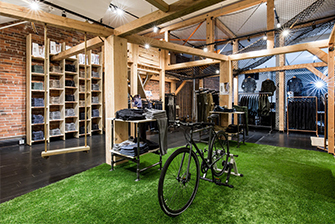 Despite the headlines, retail is being reinvented and only becoming more exciting. This digital revolution has changed consumers lives immensely, and it is time retailers follow suit. The consumer purchase journey is now experienced both online and offline. 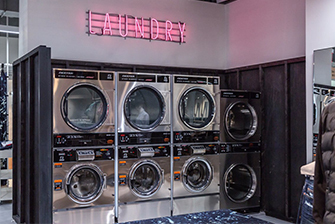 Successful retailers are building on their retail branding and ensuring cross-channel consistency, as well as a seamless transition between technologies. Amidst all this change, the customer voice has also become louder and more influential – magnified by social media platforms. They too, are spoilt for choice. Today’s consumers are looking for constant engagement and personalised experiences. Brands need to be able to inspire and amaze, offering experiences at every touch point. We look at some of our most successful retail branding clients. Retail branding has come a long way from when a physical store, simple colour palette and logo would suffice. Prop Studios ensure brand continuity, developing a seamless brand footprint across visual identity, online communication, store design and interiors. 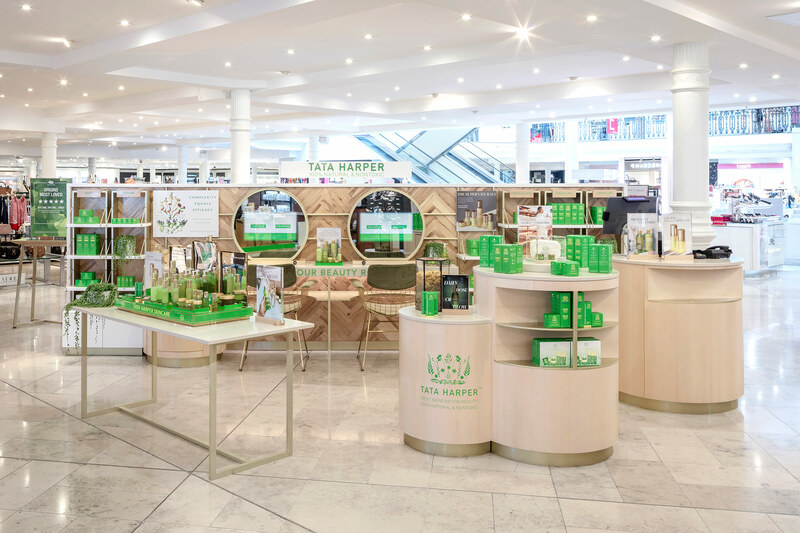 Naturally is one example of successfully evolving research and strategy into a customer-focused brand. 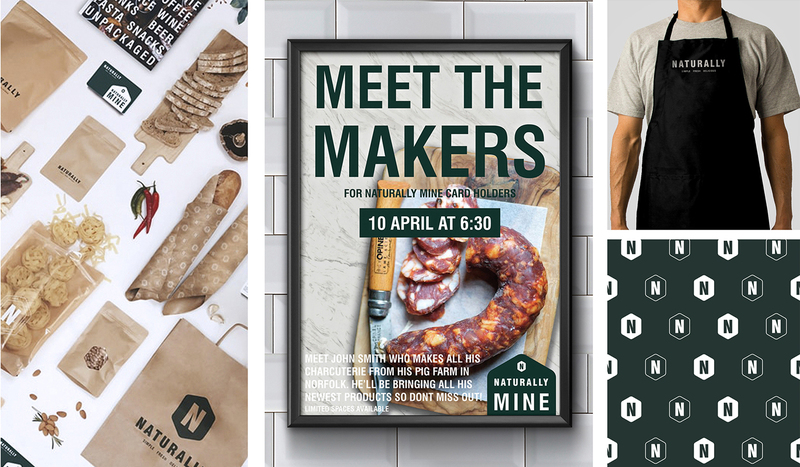 Our team worked collaboratively with Naturally to develop their brand and visual identity. Following market research and customer insight, we identified three brand pillars: quality, transparency and community. We crafted the brand identity around ‘community’, positioning Naturally as a local, independent and reliable grocery store. The packaging communicates the ingredients, the supplier & the in-store packers name – creating a local connection between customer & store team. Evolving the brand, we created a website design through to full brand guardianship, product packaging and marketing communication. 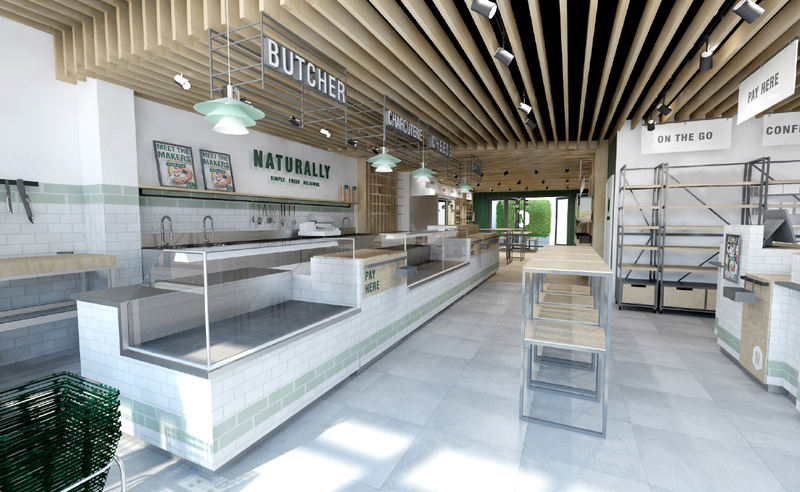 Taking the brand development through to the store design, we created design renders, technical drawing, in-store VM and a complete turn-key store fit-out. This modular store blueprint will to be used for future spaces—on both a local and global scale. As part of our detailed service, our team tracked footfall, customers journey and emotional responses to influence future store designs. Brand loyalty is key to create a future brand. 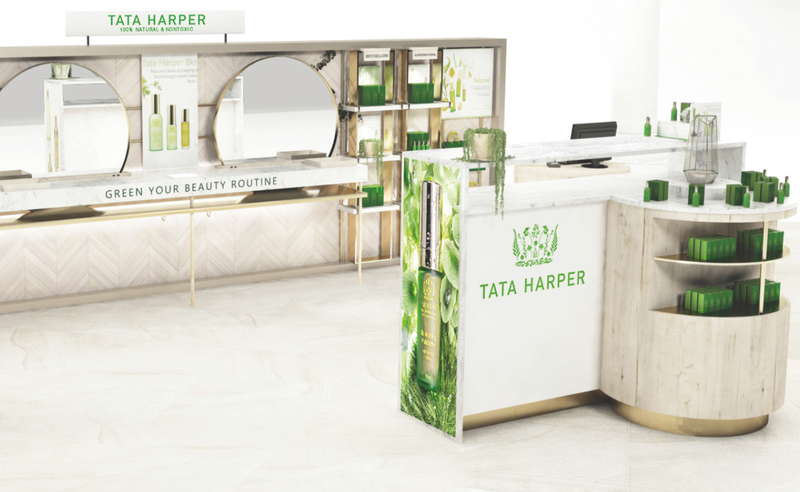 Tata Harper looked to create personalised experiences all the while building a connection with customers. Tata spoke of her vision for the space, “we wanted to develop a store concept that would go above and beyond for customers. 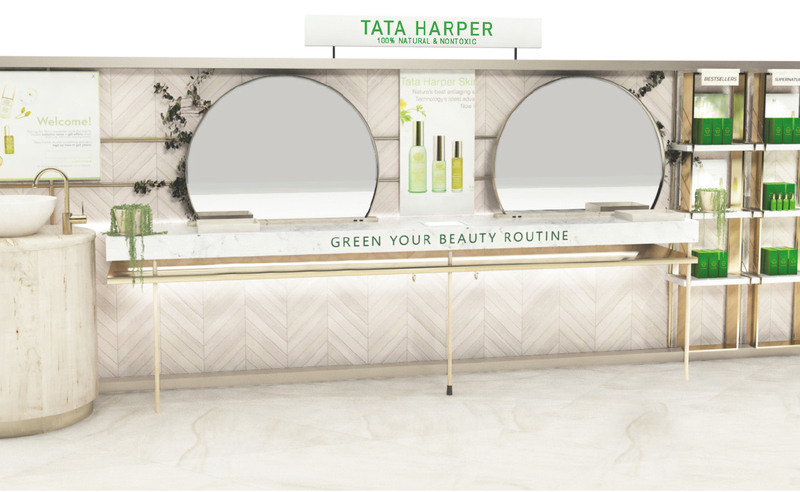 Uncompromising skin care for the uncompromising woman.” Working with their visual team, we developed this concession with a focus on an open lab design, digital-led customer experience and luxurious notes. All while keeping customer experience and brand identity at the design forefront. 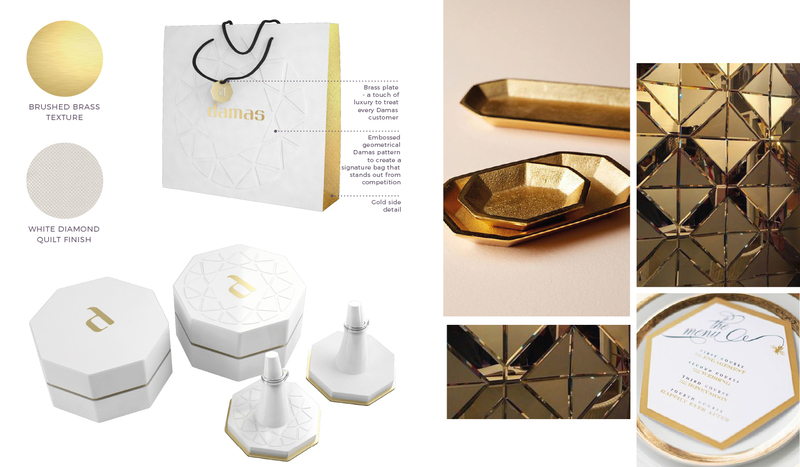 “We wanted to develop a store concept that would go above and beyond for customers. Uncompromising skin care for the uncompromising woman." Developing on Tata’s vision, we installed touchscreen mirrors which offer customers a personalised skin analysis, image and video features, along with ability to upload to social media platforms. 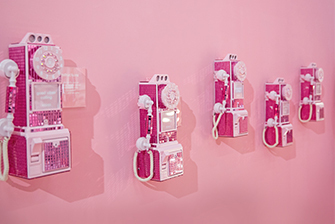 Connecting the brands online and physical worlds. Maintaining the brands organic mantra, the materials were sourced for their sustainable nature. While the design celebrated the key elements of the brand and products, including glass terrariums containing seven of their natural flowers. 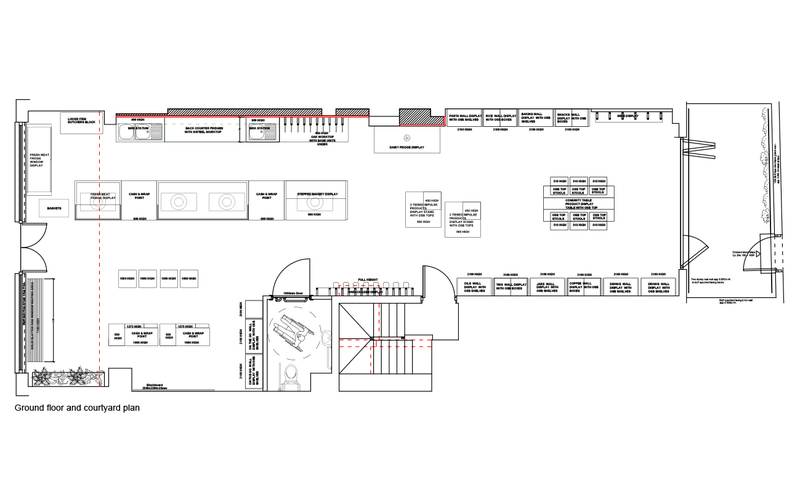 Key to this in-store blueprint, was scalability. 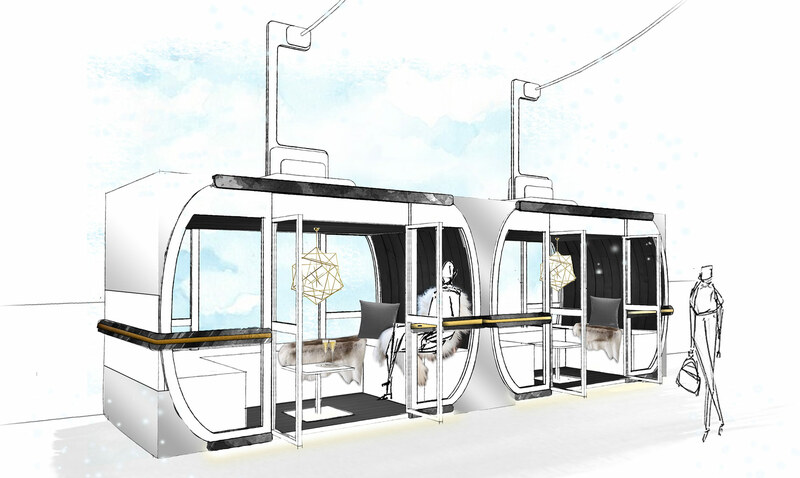 We will work with Tata Harper to adapt and roll out this design for future spaces globally. Consumers are much more discerning about where they are prepared to spend their time and money. The need for social experience, even while having a meal has become much more pressing. This trend has quickly translated into experiential dining. 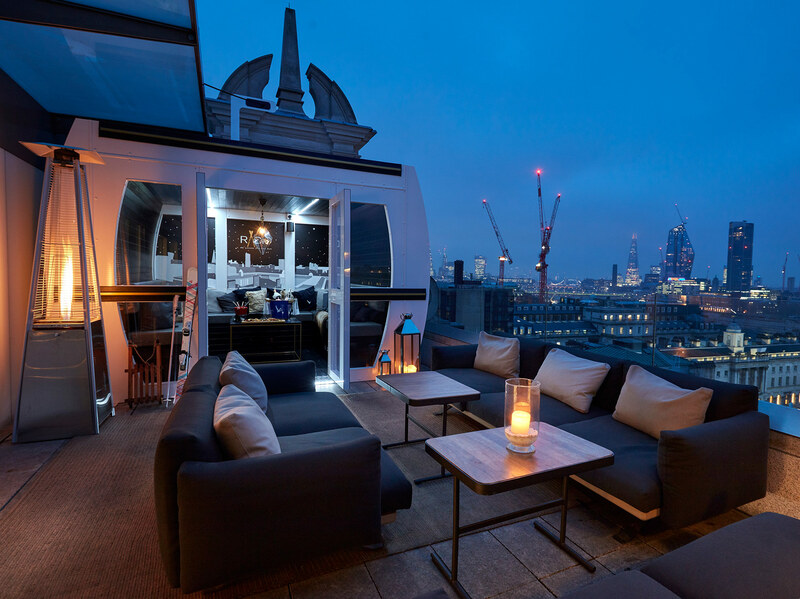 From London’s rooftops to a winter wonderscape, ME London certainly did not disappoint in this escapist experiential rooftop bar. 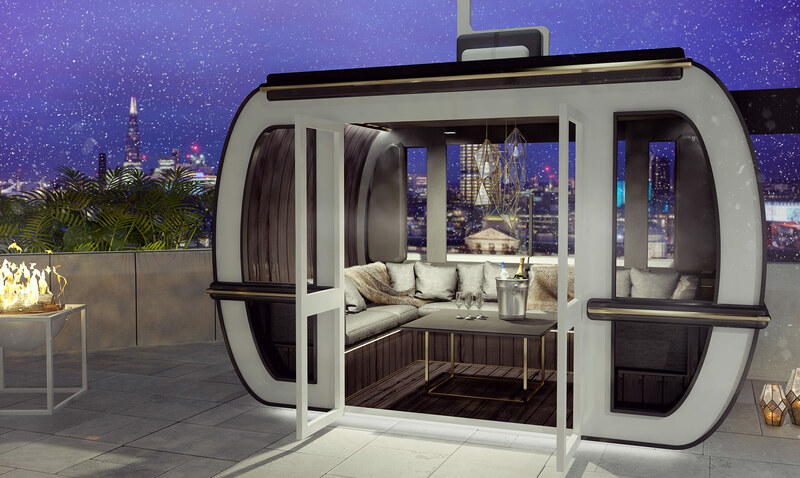 Three luxuriously furnished cable cars were installed to transport guests from city rooftops to the alpine slopes of Courchevel. Along with the detailed design, manufacture and installation, our team also developed the branding. 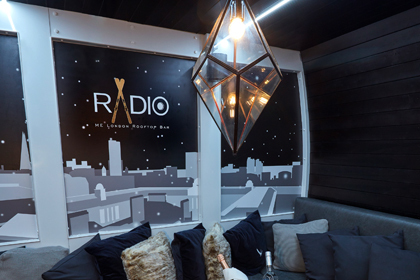 From lift passes, drinks and dining menus, the branding was specially created to define the experience. Whether an established and emerging brand, Prop Studios will work closely with your team to create a seamless experience across all channels. For more information about how we can help grow your brand, please call +44 (0)207 399 8664.